Hands down, this is my favourite country. Trying to list all the reasons to visit Indonesia is a nearly impossible, and never ending task. With over 17,000 islands spanning from South East Asia across to Oceania, you are spoilt for choice. The ever popular Bali became a second home for me and I discovered there is a good and the bad side to it. 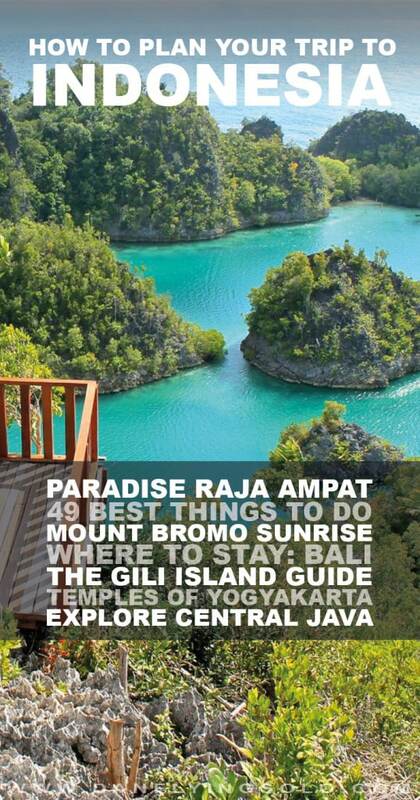 You can find remote paradise in Raja Ampat, explore some of the world’s most famous temples in Yogyakarta and be amazed at a million other things. 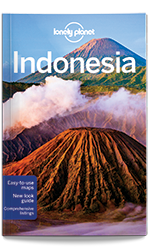 I hope this in-depth Indonesia travel guide will help you plan an incredible adventure to these islands and if you have any questions, just give me a shout. Erm, everything? Seriously, this country blows me away and after spending six months exploring it I still feel like I have barely scratched the surface. My personal favourites were Raja Ampat and Komodo for sheer natural beauty, scuba diving and wildlife (think Mantas, Dragons and Dolphins). That said, I even managed to find a soft spot for Jakarta – undoubtedly one of the most slated cities in the travel blogging world. Ubud is full of vegan cafes, yoga retreats and lush green rice paddies. There are a million and one things to do in Bali, but if you want to slow down, a few days in cultural Ubud is a winner. Visit the famous water temples, enjoy traditional dance and explore the famous Monkey forest before taking in the lush green landscape. An incredible spot in Java to catch the sunrise, Mount Bromo, with its aggressive smoke and surrounded by mist is now one of the most popular volcanoes to visit in Indonesia. The Ijen sulphur mines are not only a dangerous workplace for underpaid staff but now a popular tourist attraction thanks to the ‘blue fire’ that is emitted from the lake at night. Whilst many people will stick to the long sands of Seminyak and Kuta, Bali has some incredible, and empty beaches just waiting to be discovered. Find my favourite on the link above. Labuan Bajo, with its manta rays, dolphins and incredible underwater world is the ideal place to scuba dive or snorkel. The HMS Victory wreck in Bali is another popular dive site. This famous temple along the south coast of Bali draws in the crowds, especially for sunset. On a rock slightly out to the ocean, this is a typical tick on any Bali bucket list. These three spots of sand surrounded by crystal clear waters and huge turtles are a short boat ride away from Bali and an easy beach escape to a slower pace of life. In Yogyakarta, known locally as Jogja, you can find two of the most famous temples in the world. The Hindu complex of Prambanan and the towering structure of Borobudur can easily be done on a one or two day visit. Sumatra is a wildlife and safari dream. With leopards, tigers, elephants and white rhinos it is a world away from the beaches of Bali. Due to continued deforestation, this natural habitat is sadly in danger. The discovery site of a now extinct human species. Measuring in at only 3.5 meters tall you can visit the place that the homo floresiensis was discovered, although the remains now live elsewhere. 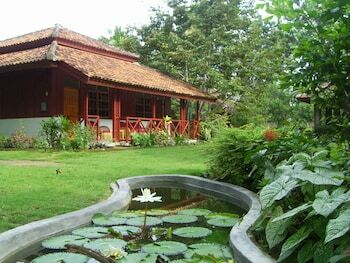 Indonesia also has the cultural landscape of Bali province, Lorentz national park and Ujung Kulon park inscribed on the UNESCO list. This inland lake is one of a few in the world where you can swim through the still water which is full of colourful jellyfish. With a sting so weak that it does not affect humans this is one of Indonesians most unique activities. 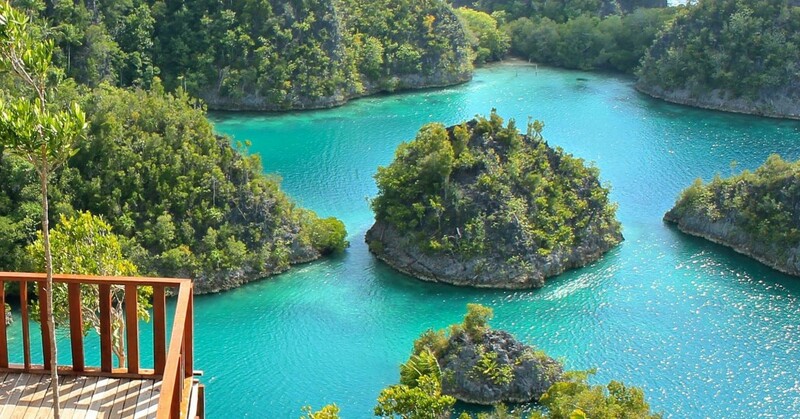 Literally translated as four kings, Raja Ampat is billed as ‘the world’s last paradise’ and it does not disappoint. Think cabin living, perfect sands, no phone signal and even tribal islands. It will cost you time and money to get here but I promise it is worth every cent. Borneo’s forests are stunning, and the chance to see Orangutans in the wild or support the conservation efforts is something not to miss if you venture to Kalimantan. With a whole host of options for staying right in the heart of the action, such as Uncle Tans wildlife camp, you are guaranteed to be at one with nature. Sulawesi, one of the biggest islands in Indonesia, is full of unique and diverse cultures. One of the more popular to visit is Toraja land for their lavish funeral ceremonies which can go on for days. A short boat ride from the manic capital of Jakarta, the 1000 islands are Indonesia’s answer to the Maldives. Think over water bungalows, undersea tunnel aquariums and the kind of beaches that beg for a coconut and a good book. *Disclosure: This post contains some affiliate links. They do not cost you anything extra to book through but do provide a small commission to keep this website running. I nearly always recommend booking accommodation on Hotels.com due to their great loyalty scheme, but sometimes in Indonesia, and indeed much of Asia, Agoda actually has a bigger selection of properties so is also well worth checking out when booking your Indonesia accommodation. With over 17,000 islands, suggesting where to stay in Indonesia is no easy task but I have hand picked a couple of my favourite places I have stayed at, as well as some incredibly unique accommodation you might want to add to your Indonesia itinerary. 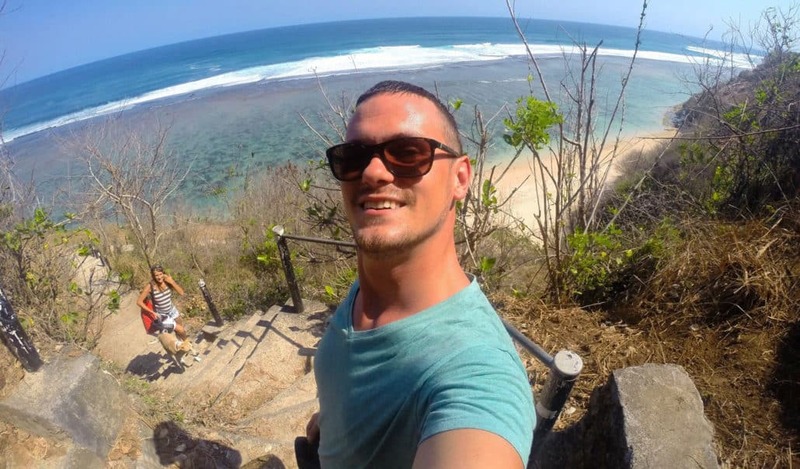 If you are heading to the island of the gods, check out my in-depth where to stay in Bali guide. 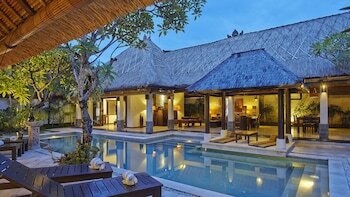 These stunning villas right in the heart of Seminyak were my favourite treat. With private pools, breakfast cooked in the villa and a tranquil vibe even though you are in the middle of anything. If you are in Bali for a special occasion, this is a winner. The area around western Flores, near to Komodo national park is stunning. Perfect waters and so much nature. 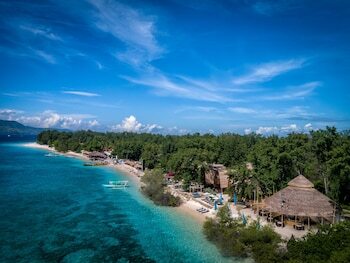 The Seraya resort is a secluded paradise and a perfect base for relaxing and exploring from. 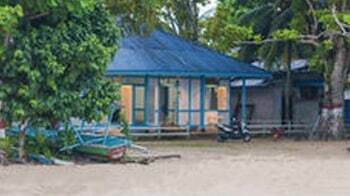 I haven’t stayed here, but I am only including it as one of the few places in Raja Ampat you can book online. It took me four days and a few whatsapp messages to book my accommodation so if you want to save the hassle, this could be a plan. Gili T is happening, Gili Air is quaint, but if you really want to escape it all then Gili Meno is where to hear. The luxurious yet mellow Karma resort is the perfect escape from Bali for a few days. At the tip of Sumatra, just across from Java, sits Taman National park with Elephants, Rhinos and Tigers. If you want to stay as close to the action as possible then check this place out. Nope, that is not the Maldives. 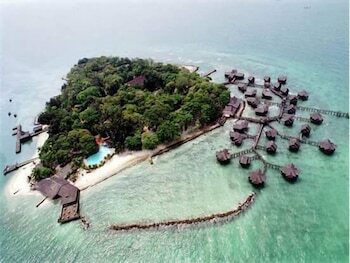 No one seems to realise an hour from Jakarta sits the 1000 islands. With over water huts, perfect waters and great diving this is an ideal chill before taking your international flight home. Indonesia does not have the best rap sheet when it comes to safety, and this applies to both boats and flying. Always try to take a safe, regulated boat with life jackets not the cheapest and before booking a local airline check the online safety rating to at least be informed. When in the bigger cities such as Jakarta, much of Bali and Surabaya, Uber is a pretty good bet to get around, GoJek is an Uber for Bike riding, Bemos are small little-converted buses that you wave down on the side of the road and cram in and even the long distance trains are a good bet. The more remote you get, the harder it becomes and at this point sometimes getting a private driver (and awesome new buddy) is a pretty sweet idea! Indonesia is viewed as a relatively safe country, with scams, pickpocketing and an upset stomach the most likely culprits of any travel mishaps. That said, there have been various occurrences of crime, attacks and drinking spiking so keeping your wits about you, as you would in any country, is essential. In Bali be wary of driving by yourself at night on a bike with a bag in view. Too many of my friends have been pulled off their bikes by their bags. In the dark, your valuables are an easy win to steal with little after-thought for the damage to you when you come off your bike. Beware of alcohol that is not legit. Dirt-cheap drinks have been known to be mixed with methanol to dilute them and there have been deaths from tourists drinking these. The Gili Islands and Bali are two places to be aware of this. 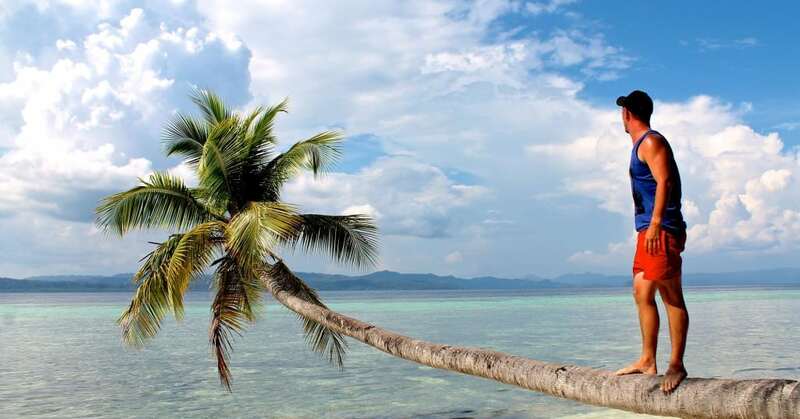 In the Gili Islands and Lombok be aware of minimal if any police presence, although mainly safe there have been more reports of thefts and attacks, particularly in Lombok, from the international community of late. Indonesia is a Muslim country, and although Bali is Hindu, be aware of the different laws by region. Parts of Sumatra and other islands have now converted to Sharia law whilst other islands may have a different majority religion. Be sure to be aware of laws, traditions and dress codes before visiting different parts of the country. No matter where you are travelling, travel insurance is essential. Trust me, I have been mugged and lost all my gear and nearly my health – no matter how much you think something won’t go wrong, it is not worth the risk. I personally use Insure and Go as I find their premiums fantastic, however, it is a mainly UK company. Another popular option that plenty of my frequent traveller friends use and recommend is World Nomads. Whoever you decided to book with, do it! With a more in-depth look at the regions of this country, stories from the road and specific money tips, I hope these blog posts and articles will help make your trip planning even more successful. I am always publishing new content on various destinations so if you want to be kept in the loop, or get some extra helping planning your upcoming trip just enter your email in the box above. Always shop around when exchanging currency, especially when you are already abroad. If using an ATM be sure it has not been altered and aim to arrange an emergency credit card before you set off on a trip as a backup. If you are looking to exchange money before your travel, then Travelex are a pretty huge international brand with either cash offices or various pre-paid card options. I keep their Cash Passport with me alongside my current account for its ease of re-loading and an emergency backup. Take a look at the products available in your country on the link, or check live exchange rates on the widget. 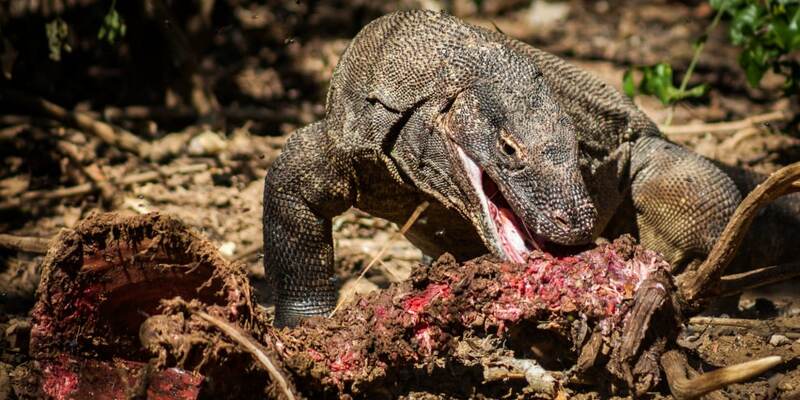 Whilst arranging tours once you arrive in Indonesia can sometimes prove a challenge, it is by no means impossible and there are plenty of local operators for you to track down. A bit of hunting around and a lot of haggling later, and you can usually score yourself an adventure like no other. Sometimes a private driver might be required as appose to a group tour but exploring this archipelago is beyond rewarding. Given the remote nature and the hassle of getting to some of its most beautiful parts, I appreciate not everyone has the time or patience that I do to hop on chicken buses or take the long way around. 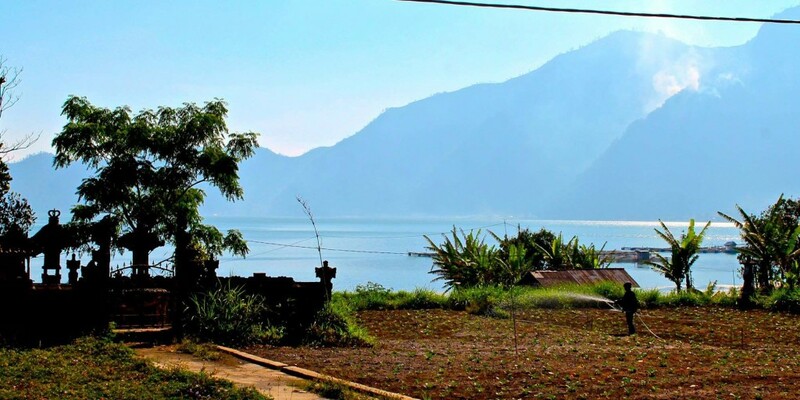 As such, here are a few Viator tours you might want to book in advance so you don’t miss out on the best things in Indonesia. 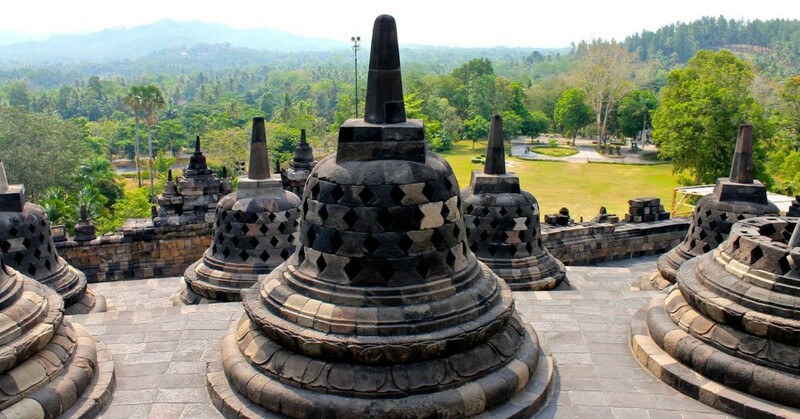 Explore two historic temples in Yogyakarta, Borobudur and Prambanan. If you want an easy trip from Bali, with transport arrangements made for you this is the simplest way to explore some of Javas most famous sights. They call it the world’s last paradise and from first-hand experience, I can tell you that is true. This remote land can be a nightmare to travel but this boat and eco resort tour will take out all the hassle. In central Bali, this volcano is a popular way to kick start the day. It’s also relatively easy to tackle and even an unhealthy guy like me nailed it. With pickup and local guide included this tour will have you covered. Home to the famous Komodo dragons and incredible waters, a short flight from Bali will deliver you to Labuan Bajo. With deserted island camping and pink beaches this takes the hassle out of piecing it together yourself. Indonesia has a whole host of regional dialects and languages, though the official language is Bahasa. Learning the basics here will likely get you by throughout not only Indonesia but also much of Singapore and Malaysia. I found Bahasa a relatively easy language to pick up, though be aware that Balinese (which is where most people will start picking up words) does have some variations to some of the Indonesian from other islands. They call it ‘the world’s last paradise’ – and they ain’t lying! It remains a hot temperature much of the year round but also experiences a monsoon season. The best time to visit comes down to what you are looking for as well as the particular region you plan to explore. Peak Season: When school holidays are on and everyone takes their summer breaks, June through to September can be really crowded and most accommodation prices more than double the offseason. Shoulder Season: Between April and June and September and October the crowds usually drop off and the prices too. It’s likely the perfect time to visit.